Our mission is to provide fishermen with the opportunity to learn, grow and compete on a tournament trail with other equally equipped fishermen who share similar ideas on the art of bass fishing. As anglers, we are representatives of the sport we love. We must remember to take care of the resources we use today if we want to be able to reuse them for many years and generations to come. Have fun and FISH ON! The 17/90 Bass Club originated as the 14/25 Bass Club because of a serious need from bass anglers in the Modesto and surrounding areas. This need developed from "small" boat owners who wanted an opportunity to compete on a Tournament trail, but was at a tremendous disadvantage because their boats were not "big" enough or "fast" enough to compete on the same level as the much "larger" and "faster" boats, successfully. This does not mean that we cannot catch the same quality of fish as these competitors, because we know that we can. 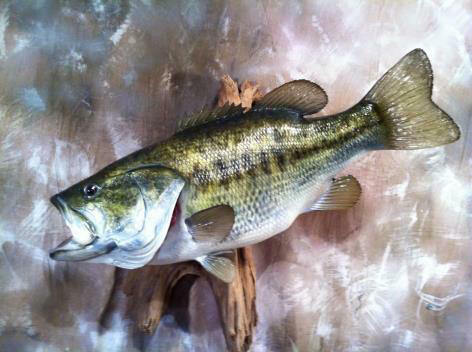 The 17/90 Bass Club offers a tournament trail where point standings are recorded throughout the tournament season. At the end of the season, points are calculated and prizes are awarded. The club guarantees prizes for the 1st, 2nd, and 3rd place season finishers. However, if enough teams participate, prizes will be awarded to the subsequent finishers. Scores incrementally decrease by two points from 1st Place to last Place finishers who record at least one legal fish at weigh-in time. At each regular season tournament, prize money will be distributed based on how many teams participate. 1st through 3rd Place are guaranteed prize money. One point will be awarded for fishing a tournament. These points add up throughout the season. End of year door prizes, pizza party, Fish Game permits, website domain, checks, trophies, weight-in bags and other items needed for the club. A "Big Fish" option fee is $10.00 per boat. ($50/team with big fish option) 1 big fish option for regular tournaments. If for any reason an angler is unable to participate in a tournament in which he has already paid, his fees can be refunded or carried over for the next scheduled tournament. 1. *Maximum boat length allowed is 17 feet. Maximum horsepower allowed is 90 hp. *Note: In the event there is a team that has a boat that exceeds the maximum length or hp. or there is a new team that wishes to join the club who's boat exceeds the maximum length or hp. limits, the club members will vote on the issue and this vote will dictate whether or not to allow the said team to use the larger boat or engine. 2. Each boat must be equipped with an "operable" live well. Coolers are acceptable. 3. Each angler must have a Coast Guard approved life jacket in the boat. Each angler must wear his/her life jacket when the outboard is in use. A single life jacket warning may be issued per season. Continued offenses will lead to disqualification of an event and possible termination from club events. 4. Each angler must have a current California fishing license and follow the regulations given by the Fish and Game Department. 5. Team events are open to all current club members. Members must be non-sponsored and nonprofessional anglers. 6. Team events consist of two anglers per boat. At least one member must be present in order to earn points. Team points cannot be transferred from one team to another as a result of team changes. If a team changes partners during a season, the new team must start a new set of point standings. 7. All club members are expected to behave in a sportsmanlike manner and must practice courtesy and safety at all times. 8. No alcohol or drugs are permitted at club tournaments during competition. 9. A maximum of Five (5) fish can be weighed in at a team event. A team with only one (1) angler present can only weigh in five (5) fish. A maximum of four (4)fish per angler may be weighed in at a draw event. Each team at weigh-in will choose big Fish and this shall be their "Big Fish". You will not be allowed to choose another fish once your Big Fish has been chosen and weighed in. 10. The minimum length of a fish weighed in is thirteen (13")inches. The official measuring device is a WILL-E-GO board. Length is determined by hanging the fish at a 45-degree angle. The lip of the fish must touch the start of the WILL-E-GO board and the fish tail must touch the thirteen (13") inch line. Open mouth is allowed. The Tournament Director reserves the right to verify all fish weighed in. If there is any controversy over the decision, a decision will be made by the remaining officers. 11. A .25-pound penalty is given for each fish brought to be weighed under the thirteen (13") inch minimum off the TOTALweight. No short fish are allowed to be weighed in. NOTE: The angler is given the opportunity to measure the fish in question, however the final decision is still made by the Tournament Director or the remaining club officials if necessary. 13. All fish weighed in must be alive if possible. Dead fish are allowed with a penalty of allowed with a penalty of 0.25 pound for each dead fish weighed in. The Tournament Director, or designated official in the event of the Tournament Directors absents, is responsible for determining the condition of a fish. 14. A club official must complete a check on each boat before a tournament. It is the responsibility of each team to find a club official at the tournament. Check in time in the mornings will vary. 15. Official sign-in will be determined at the meetings prior to the tournament. If a time change is deemed necessary, it is the responsibility of the club officials to notify all team members of any changes. If all efforts have been made to in good faith to contact a club member for any change in the schedule and the said member cannot be contacted, the 17/90 club and club officials shall not be held liable for any costs incurred to said member. 16. Official sign-in will close ten (10) minutes after the official check time. This time frame is determined at the above mentioned meetings. No late starts are allowed. No exceptions! Weigh-in time is always 3:30pm. 17. Official time is kept by the Tournament Director. 18. Launch order is determined by number draw order. The last team to launch is responsible for announcing the launch order and will be the last team to leave the launch site. The club will be responsible for, providing the necessary materials for announcing the launch order, to the last team. 19. During a tournament, anglers may fish anywhere accessible by boat, except those areas designated by Federal, State, Lake or Tournament officials as being Off Limits. 20. Official weigh-in time will be determined prior to launch time. 21. A fifteen (15) minute grace period is given at weigh-in. After the grace period has expired, a late arrival will not be allowed to participate in the weigh-in. 22. After the weigh-in, all fish will be placed in a live well and released in a safe area as directed by club officials. 23. Culling fish is not allowed within one hundred (100)yards of the weigh-in site. Culling shall be defined as the release of extra fish. 24. Anglers may not fish within fifty (50) yards of another boat based on a first come first fish basis (Respect others fishing areas). 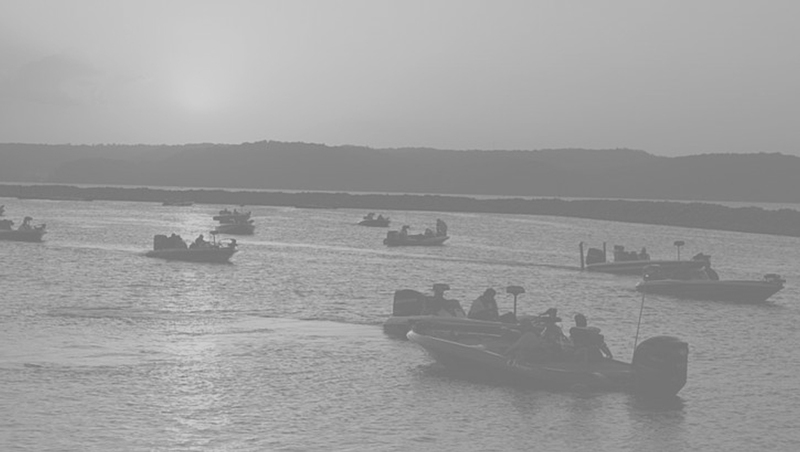 Boats may not touch or appear to touch during a tournament except in the event of an emergency. Boats must stay on the tournament water during tournament hours. Anglers must fish in the same boat as they started a tournament. All fishing during the tournament must be done from the designated boat. 25. Only artificial lures may be used during tournaments. Pork and processed products are allowed. Absolutely no live bait is allowed. 26. A club member acting unsportsmanlike-like and/or violating club rules is subject to disqualification from the tournament and/or permanent termination from club sponsored events. If a member is disqualified and/or terminated, he/she forfeits all prizes, awards and points. 27. Rules affecting tournaments are subject to the interpretation of club officials only. Suggestions for future rules shall be submitted in writing to club officials and will be evaluated at the end of the season based on their content. 28. Tournament locations and dates subject to change due to weather or any other unforeseen acts shall be communicated with as much prior notice as possible to each member. 29. In the event a tournament location becomes unfishable, a notice of fourteen (14) days must be given to the Fish & Game Department. A vote will be conducted and a new location will be designated. If it is possible, a vote will be conducted at a club meeting. 30. Decisions made by club officials are final. Protests must be submitted within one hour of the weigh-in time of the respective tournament. Awards and prizes may be withheld until club officials determine a decision. These decisions shall be made in a timely and practical manner. 31. Each team is responsible for the safe and healthy release of their catch. If a team knowingly leaves injured, dying or dead fish at the designated release area, this could result in a disqualification and or termination from the club.